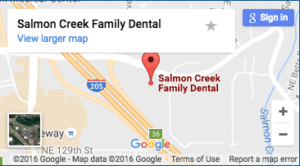 We encourage all of our patients to review Salmon Creek Family Dental and Dale Nelson, DMD online and let us know what you think! If you aren’t yet a patient, read below why so many of our long-time patients keep coming back and then schedule your initial appointment today! We want to be your choice for dentist in Baberton, Mt. Vista and Salmon Creek areas of Vancouver, WA!